Without Walls latest artistic programme of work is innovation, diversity and addresses contemporary issues in an accessible and entertaining way. 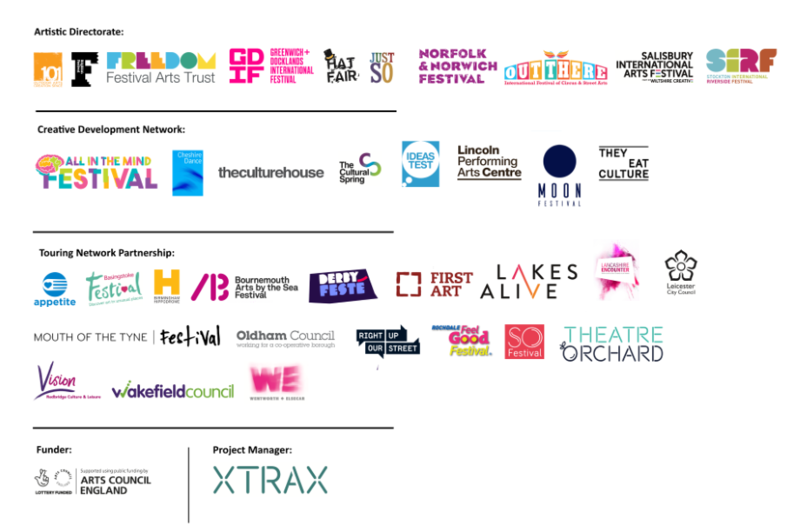 Without Walls partners are 36 of the most dedicated outdoor arts festivals in England. They come in all shapes and sizes but are united in their mission to take great art to audiences across the country. Find the latest news and go behind the scenes at Without Walls. Information for artists, festivals, sponsors, partners and collaborators who would like to work with us.